NOTE: Please contact the owner if you wish to discuss other variations i.e. weekends, 3/4/5 nights - we will always try and accommodate, particularly in the off peak season. £50.00 deposit (non-refundable) is required on making the reservation to secure the date and full payment is required 6 weeks before the start date of your holiday. As well as securing your reservation this also acts as the bond which is taken in case of loss of keys, any breakage or other damage. This will be refunded within 7 days after your stay. If a booking is made 6 weeks or less prior to the holiday commencement date, then full payment + £50 deposit bond is required. Please include with your enquiry the number of adults and children requiring accommodation. 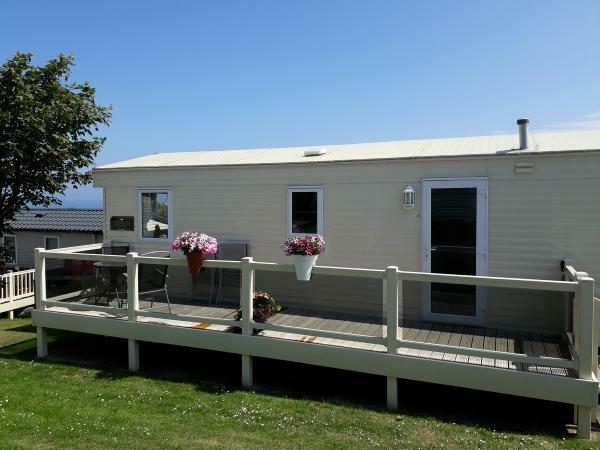 Come and visit our family owned 2016 37' x 12' holiday home sleeping up to 6 guests in 3 separate bedrooms, with a 26' decked secure veranda with lockable gate and outdoor bistro table and chairs. There are superb long distance sea views from the front and side and a view of Flamborough Lighthouse from the side and rear. Consisting of a very spacious lounge with gas fire, freeview TV and DVD player, plenty of seating and separate dining area. Open plan fitted kitchen with oven, hob, grill and extractor fan. Fridge with freezer box, microwave, kettle, toaster etc. and fully equipped for 6 guests. There are 3 bedrooms, the master having a double bed, double wardrobe, chest of drawers, mirror and bedside lamps. 2 twin bedded rooms with wardrobes, chest of 2 x drawers, mirrors and lamps. Each bedroom has warm air plinth heating. A large double shower room with heated towel rail, wc, wash hand basin and further room with second wc and wash hand basin. There is double glazing throughout. NOTE: This is not a pet friendly caravan. 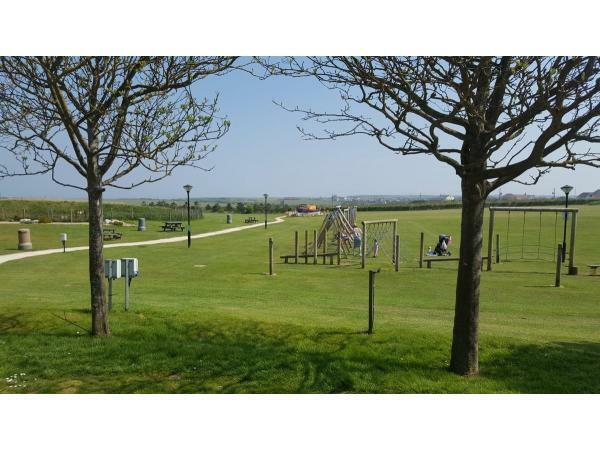 Thornwick Bay Holiday Village owned by Haven since 2016 is a country park by the sea with lots of green open space and lying in the middle of a very popular east coast region. Close by are the wonderful seaside resorts of Bridlington, Sewerby, Filey, Scarborough, Robin Hoods Bay, Whitby and others. This stunning cliff top park sits on part of Flamborough cliffs nature reserve and the surrounding secluded 4 bays of Thornwick, North and South Landing and Bempton Cliffs a world renowned nature reserve. The park offers quiet and seclusion or activities galore to suit everyone. 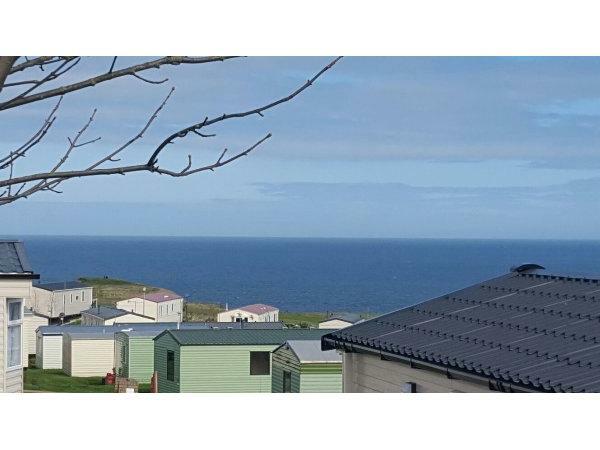 The caravan is a short walk from the scenic walks along the cliff tops and nature trails with amazing views of the coastline and bays. It is located in an elevated position with a short walk to reception and on site facilities i.e. swimming pool, show bar, activity areas, restaurant, shops, reception, on site public transport to Sewerby and Bridlington. The village of Flamborough is located less than a mile away from the park with a post office, a variety of local shops with fresh produce, cafés, restaurants and pubs. 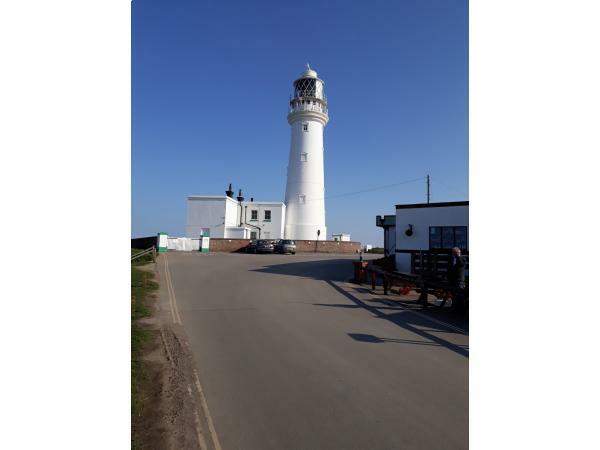 The Flamborough Lighthouse and bay is only 3 miles away with the sandy beach of South Landing just 1 mile away from the village which is a charming place with parking, a woodland nature reserve, activity centre and a sandy beach with rock pools, caves and fossils. South Landing is also the home of the RNLI lifeboat station - well worth a visit. Additional Info: On site facilities include a fantastic swimming pool for all ages, with water slides and fun features (refurbished by Haven in 2016). Lighthouse bar and restaurant, showbar with live entertainment for adults and children with all the Haven characters appearing earlier in the evening. Amusement arcade with play area, Activity barn providing hire of segways and bikes, archery, fencing , target shooting and other activities with on site sports' instructors. Also a fishing lake, crazy golf, fish and chip shop, launderette and a well stocked mini supermarket. There is a brilliant outdoor children's play area/football area and very large sand pit with instructor led activities for children.There is also a regular bus service from the park to Bridlington and return - timetables available in reception. NOTE: Passes are required for some of the above activities / entertainment and can be purchased from the reception. We have just returned from a 3 night stay in Maureen’s caravan and we have thoroughly enjoyed every minute. From the minute I made the booking Maureen was a pleasure to correspond with and nothing was ever too much trouble. Maureen made the booking process hassle free and everything was sorted for our check in on the day. The caravan itself was absolutely spotlessly clean and included many essentials such as toilet rolls, washing up liquid, and salt and pepper. The caravan boasts some great views of the cliffs and sea, the bedrooms also had excellent views of the lighthouse which at night was stunning. The caravan is situated on a pleasant site. All round this has been an excellent experience and I will definitely be booking with Maureen again and would highly recommend this caravan. We had a lovely weeks holiday in Maureen’s caravan there’s everything you need for a comfortable stay the caravan is spotless and the views are truly beautiful as it looks out to sea which is an added bonus . It’s close to all park amenities but also just far enough away for peace and quiet . We shall definitely be booking again . Thank you Maureen for a lovely holiday ???? Gorgeous caravan with everything you could ever need! We had a fab time and will most definitely be back again! Hopefully for longer next time! Lovely owner who is a pleasure to deal with! Thanks again! This was our second visit to Maureen's caravan . The caravan was spotless and clean as before with a lovely sea view. We had a very relaxing holiday with all amenities just a short walk away. We found Maureen to be very friendly and helpful in all our correspondences. 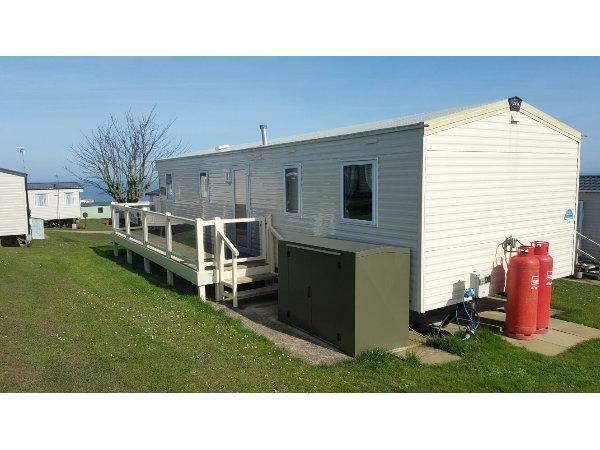 We would recommend this caravan and holiday park to anyone.Thank you Maureen . 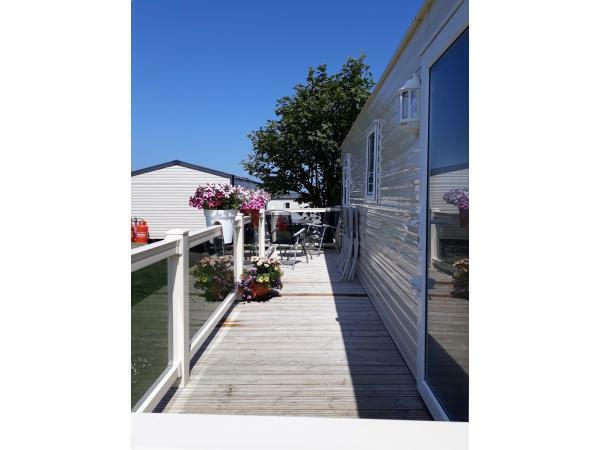 I have been coming to thornwick bay for over fifty years and i can honestly say that this is the best caravan i have stayed in, my grandaughter absolutely loved it ! The owner Maureen is a pleasure to deal with and a big thank you for a lovely family holiday. Andy and Lynne thank you very much for your review. You obviously know the location and site very well and I am thrilled that after 50 years of visiting TB my caravan has proved to be the top of your list. On a personal level you and your family were lovely guests and I hope our paths cross in the future. My thanks for being my valued guests. My family and I had the most amazing holiday thanks to this beautiful caravan, fantastic site and welcoming owners. The information and contact provided by Maureen from booking the holiday right up to arriving was second to none with the easiest check in and out I have ever had. The caravan was immaculate with a very well equipped kitchen. It was literally like a home from home. The sea views were beautiful and the gated decking allowed us to enjoy them even more while the kids played in the sunshine safe. The facilities were a very short walk away and although they were so close it was so quiet around the caravan. No night time noise or people walking around the van. The facilities were also brilliant with a lot of it being newly refurbished. We had absolutely amazing weather which was the cherry on the cake with lots to do nearby for the kids both in and off site. I cant thank Maureen enough for her customer service. It was top notch, as is her fantastic caravan. We would 100% definitely stay again. We miss you Thornwick Bay. Great position with lovely view, warm quiet and really comfortable. The amenities are a short walk away, there is everything you need to make your holiday a success. Maureen can't do enough to make sure you enjoy your stay.I highly recommend this home from home. We stayed in this caravan for a week in May half-term with our two young children (9 months and age 5) and couldn't have been more pleased with our choice. 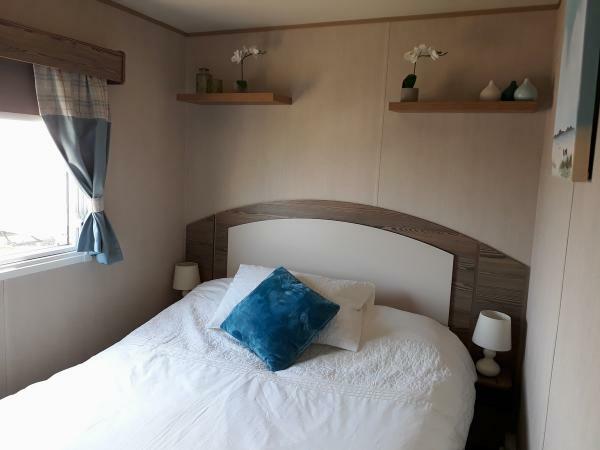 The caravan is immaculately clean and in a great spot with an unexpected sea view from many of the windows and towards the lighthouse from the double bedroom. It is no more than 5 minutes walk to the main complex or to the activity barn but also with the benefit of being almost in a cul-de-sac with very few people, if any, walking past the caravan at all, making it a very peaceful spot. The decking enjoys the afternoon/evening sun (if you're lucky!) and with an outdoor table and chairs supplied it was nice to make use of this. Typically on holiday we think "oh we should of brought our...." but not in this caravan - every little kitchen utensil we could think of was in the caravan, with plenty of crockery and plastic picnic tableware for the children. Another added bonus was washing up liquid and decent grinder salt and pepper already being in the caravan, as well as the hoover and cleaning products - no putting up with sandy floors! Maureen, the caravan owner, was a joy to deal with and updated us before travelling to recommend taking some additional jumpers as the weather forecast was bad, as well as providing us with a travel cot to use and letting us know that there is a fire guard for the gas fire. There is a small selection of DVD's and travel Connect 4 in the caravan and we made use of these. 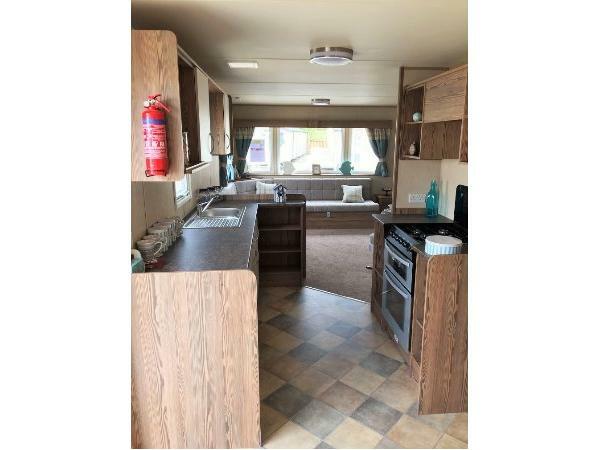 Overall we had a wonderful holiday in this caravan and would recommend it to others; we enjoyed our holiday so much we'd like to buy a similar caravan at Thornwick Bay! Julie thank you very much for your very positive review. Really pleased all was to your liking including the location of the caravan and the view of the sea. It is my second season and do hope my other guests enjoy themselves as much as you and your family have, its been a pleasure to know you and hope you will visit again in the near future. Regards, Maureen. 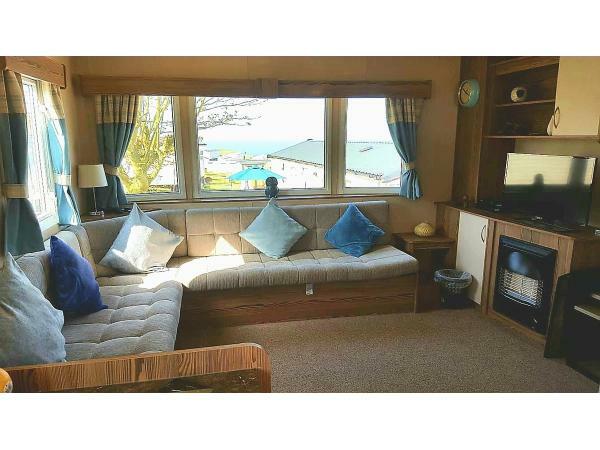 Excellent, clean, cozy caravan with sea views. Near amenites but no noise. Easy drive Bridlington, Scarborough, Whitby. Plenty of cliff top walks, the moors and Dalby forest. Lovely walk to lighthouse and back into village for good food at the village pubs, though best to book a table. Definitely come again and recommend to others. Thanks again Maureen. Aileen and Brian thank you so much for your complimentary review and am so pleased you enjoyed your holiday and that it gave you the break you both needed. All the very best for the future and I hope our paths cross again in the future, Maureen. Kimberley thank you very much for the wonderful review and the excellent comments you have made about the caravan and its location. I am so pleased you have booked a return visit next summer and look forward to welcoming you and your family again. We had a fantastic short break in Maureen's Caravan, Fantastic location with a distant sea view. 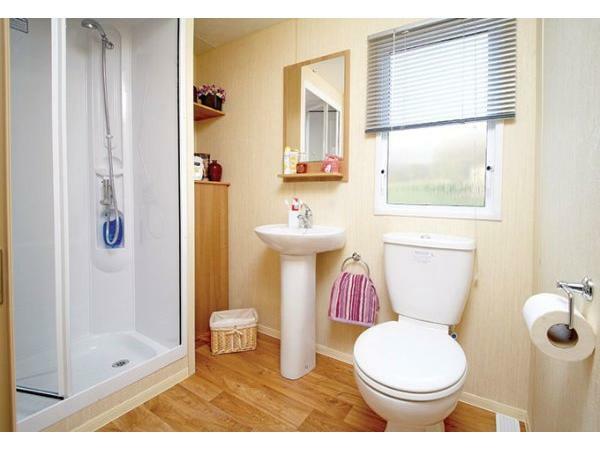 The caravan is immaculate with everything you require, Double Bed was? extremely comfortable. 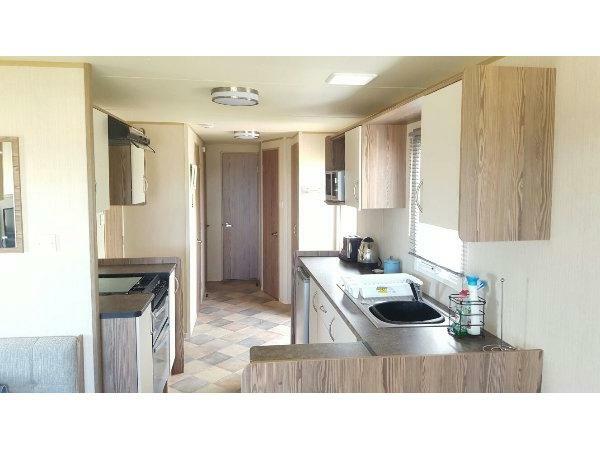 We would strongly recommend this caravan to anyone - it's spacious and great value . We didn't want to leave ! 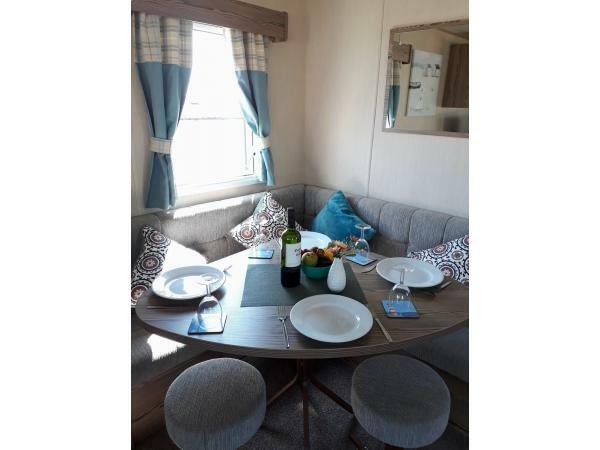 We were delighted with the caravan , it was very spacious and in a lovely setting,very quiet and relaxing.Our Daughter and Son - in - law visited for the weekend and they also loved it .We would definitely recommend it and would love to return. I can not rate this caravan highly enough! This is a beautiful caravan in a beautiful location. It is a 5 min walk to on site amenities which are great for adults as well as children. Maureen the owner is a really helpful lady who ensures you have all the information you need to help you make the most of your stay. I will certainly be staying here again in the future. Thank you again Mr & Mrs Daley for your fantastic review and comments despite the weather and do hope you will return for a third visit at some stage in the future. This is a lovely caravan which is nice and clean. The Location of the caravan is well positioned in a quiet spot. You can see the sea for miles and the light house which is lovely on a night. No other caravans spoiling your views. Comfortable beds for a well deserved sleep after mlies of walking in the day. We really enjoyed our stay and hope to come back soon. Maureen was very helpful and lovely to chat with. Hi Katherine thank you very much for your review. I am so pleased that all was as you would wish to find it for your family holiday. As you were my first guests your review is very important and I hope you and your family will revisit Thornwick Bay at some future date.